The lick Paul plays in this video lesson is loosely based on the tapping style of legendary bassist Billy Sheehan. Paul still manages to put a unique six-string twist on his Mr Big bandmate's tapping lick though! 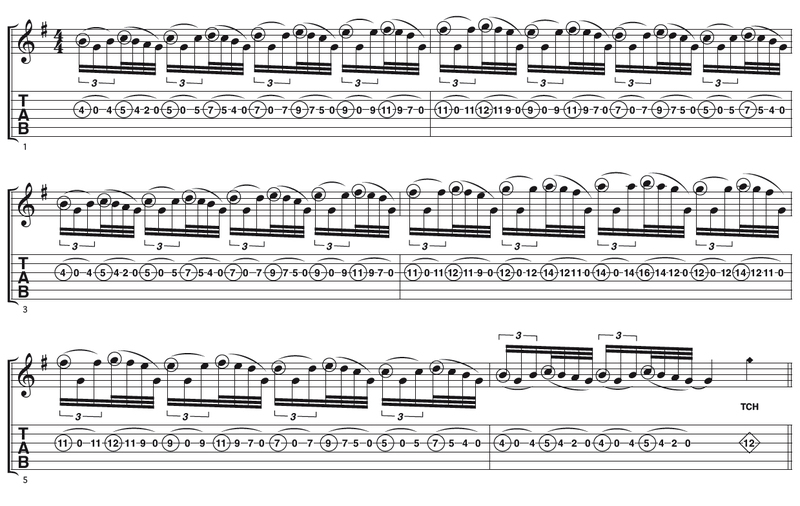 Each full beat is based on a seven-note phrase that includes a 16th note triplet and a 'straight' 32nd note rhythm. The first tapped note of each beat is played again with your fret hand two notes further into each beat, so make sure your tapping finger is out of the way quickly to avoid it interfering with your fret hand. The best approach here is to map out the fret-hand notes first so that you're comfortable moving up and down the neck through the G major scale. Use the repeating open third string as a point of reference throughout to let your ears become accustomed to the sound of the scale, then slowly introduce the tapped notes into the lick. Check out the video below - and be sure to get the accompanying tab here. 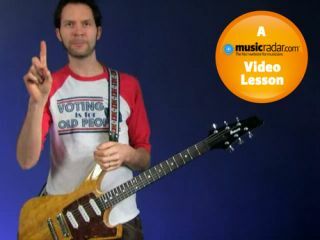 For more info on Paul, head to Paul Gilbert's official website. As you gradually speed this lick up, the tricky looking rhythm (made up of seven notes) will find its own natural pulse. The second half of each beat is just a bit quicker because you'll be playing pull-offs. You may like to practise this part on its own.